If you are not completely satisfied with your purchase we will be happy to offer you a refund or exchange. We are pleased to offer a free returns service via Fed-Ex (UK only) for full price lines. To return your goods, you must do so within 14 days of receiving your order. This does not affect your statutory rights. Please note, to return sale items will incur a £5 return fee, this will be deduced from your return credit. 1. All items must have the security label attached, must not have been worn and in the original condition and packaging. 2. 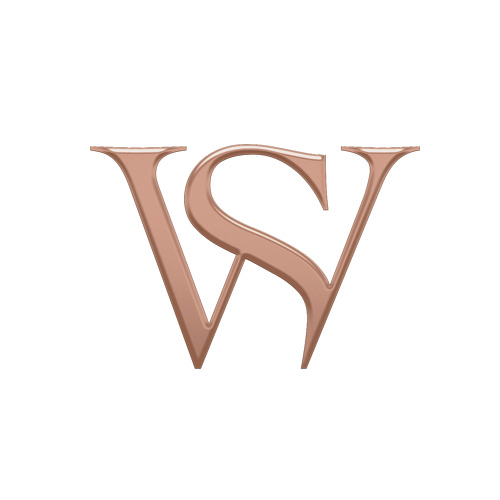 Call us at 0203 298 0970 or email returns@stephenwebster.com to obtain your Returns Authorization Number (RAN). This must be within 14 days of receipt of your order. Our contactable hours are 10.00 - 18.00 Monday to Friday. 3. Complete your details inclusive of your Returns Authorization Number on the returns form and return with the goods. 4. All items must be returned in their original packaging using the Fed-Ex pick-up service, they will provide a two hour pick up window. 5. Your item must be returned to us within 14 days of receipt of your RAN number. 1. Log onto your TOSHI account and select the 30min time slot for pick up. 2. Pack your items securely in the original box and include the original invoice in the package. 3. Please have the box and piece(s) ready for collection at the pre-determined time. If you wish to exchange your purchase, please specify when requesting your Returns Authorization Number, this must be done within 14 days of receiving your good. Faulty items will only be accepted if the goods are delivered to the customer damaged or there is a manufacturing fault within a period of 12 months after delivery. All items returned as faulty will be inspected and any items deemed to be subject to fair wear and tear will not be accepted as faulty. We are only able to exchange faulty items for the same item subject to availability. To return a faulty item, please follow the steps above. Refunds will be made within 14 days of the receipt of returned items. All undamaged, correctly returned products will be credited to the original purchasers credit card including sales taxes. In the event of any failure to return goods to us within the stipulated time limits, even though validly cancelled, we shall have the right to charge any costs of recovery of the goods. Returns must be returned in one shipment, any subsequent returns from the same order may incur additional shipping charges. 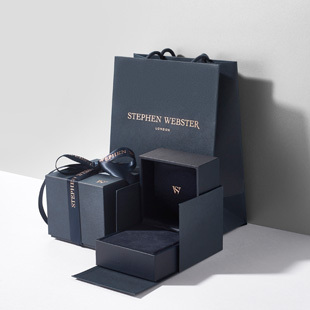 Stephen Webster will not accept returns of any items that have been worn and/or labels removed. Upon receipt of your order, if any item is without tags, you must notify us (by phone or email) on the same day if you wish to return it. Please note that we do not accept liability for returned goods if you do not return them using our specified method of delivery.